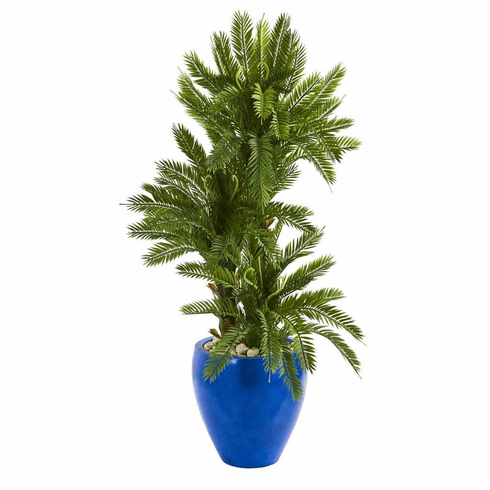 Forming several lush layers, the green foliage of the triple cycas artificial plant appears so soft, you might be tempted to reach out and touch it. With a mellow blue planter included, use this decorative plant to enhance your breakfast nook's decor by setting it on either side of your dining set. Pair it with a white or blue teacup topped with faux greenery as a centerpiece for a complete look. Height: 4 Ft., Width: 23 In., Depth: 23 In., Color: , Pot Size: H: 12 In. W: 11 In. D: 11 In.